In Caucasian, several studies have identified some common variants associated with human stature variation. However, no such study was performed in Chinese, which is the largest population in the world and evidently differs from Caucasian in genetic background. To identify common or ethnic specific genes for stature in Chinese, an initial GWAS and follow-up replication study were performed. Our initial GWAS study found that a group of 13 contiguous SNPs, which span a region of ~150 kb containing two neighboring genes, zinc finger protein (ZNP) 510 and ZNP782, achieved strong signals for association with stature, with P values ranging from 9.71 × 10−5 to 3.11 × 10−6. After false discovery rate correction for multiple testing, 9 of the 13 SNPs remain significant (FDR q = 0.036−0.046). The follow-up replication study in an independent 2,953 unrelated southern Chinese confirmed the association of rs10816533 with stature (P = 0.029). All the13 SNPs were in consistently strong linkage disequilibrium (D′ > 0.99) and formed a single perfect haplotype block. The minor allele frequencies for the 13 contiguous SNPs have evidently ethnic difference, which range from 0.21 to 0.33 in Chinese but have as low as ~0.017 reported in dbSNP database in Caucasian. 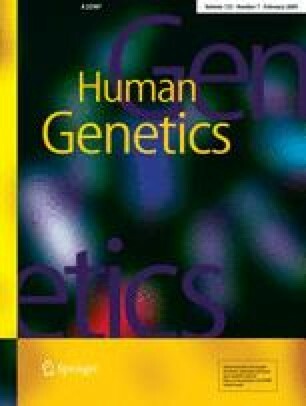 The present results suggest that the genomic region containing the ZNP510 and ZNP782 genes is an ethnic specific locus associated with stature variation in Chinese. The study was partially supported by grants from Natural Science Foundation of China (30600364, 30470534, and 30230210). HWD was partially supported by grants from NIH (R01 AR050496-01, R21 AG027110, R01 AG026564, and P50 AR055081) and the Dickson/Missouri endowment.